Videographer Mick Kalber released this video of an overflight of the East Rift Zone he took with Paradise Helicopters on Tuesday, Nov. 20, 2018. A brand new road connecting the red road from MacKenzie to Pohoiki is now complete. Numerous sea arches and black sand beaches dot the coastline from Mackenzie to Kapoho, some of the nicest new beaches are along the sea cliffs of MacKenzie at the beginning of the new road. The road is apparently only open to home and land owners in the Pohoiki area and hopefully it will be open to the public soon. Vents along the line of fissures in and near Leilani Estates were steaming steadily, but there is no active lava anywhere. The flow surrounded and encroached upon PGV, but remarkably left most of the geothermal plant unscathed. Fissure 8 remains quiet, her blanket of tephra and Pele hair most evident on the homes on South Kupono to the west. It is now nearly 15 weeks since the eruption went into a pause, or lull, as scientists call it. 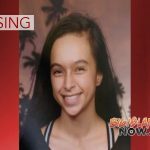 She [Pele the fire goddess] is showing no signs of reactivation, almost no seismic, and is unlikely to resume eruptive activity in Leilani at this time. The lack of seismicity both at the summit and the lower east rift zone seem to support that projection, but time will tell. We documented the “Bruce Omori Crescent” near the Pu‘u ‘O‘o vent. Scientist have measured the vent at over one-thousand feet deep, but although magma intrusion has been noted by the USGS between Pu‘u ‘O‘o and Black Sands subdivision recently, the vent is still void of lava.